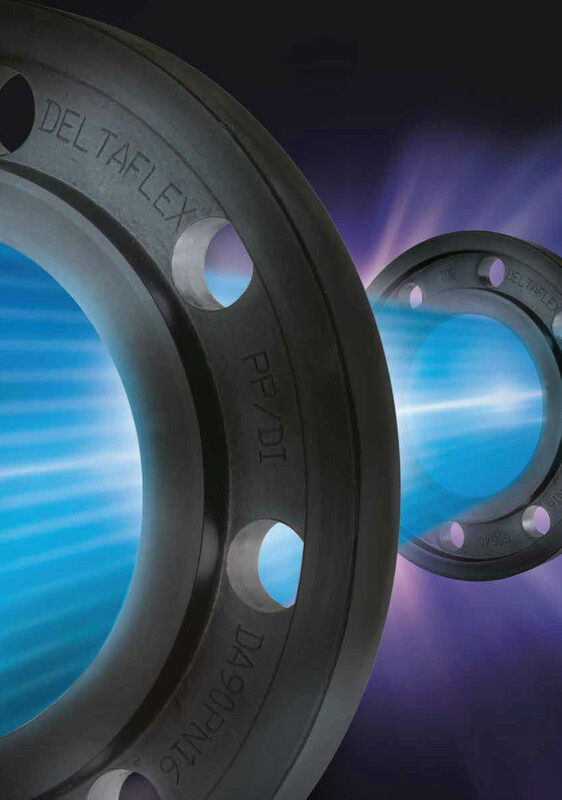 Improved Piping Products, Inc.® (IPP) is the sole manufacturer of the IPP Deltaflex® backup ring, a technological breakthrough in the flange industry. Our patented design brings cost effectiveness and greater safety to an industry where savings and risk management are a necessity in maintenance and construction of various projects. 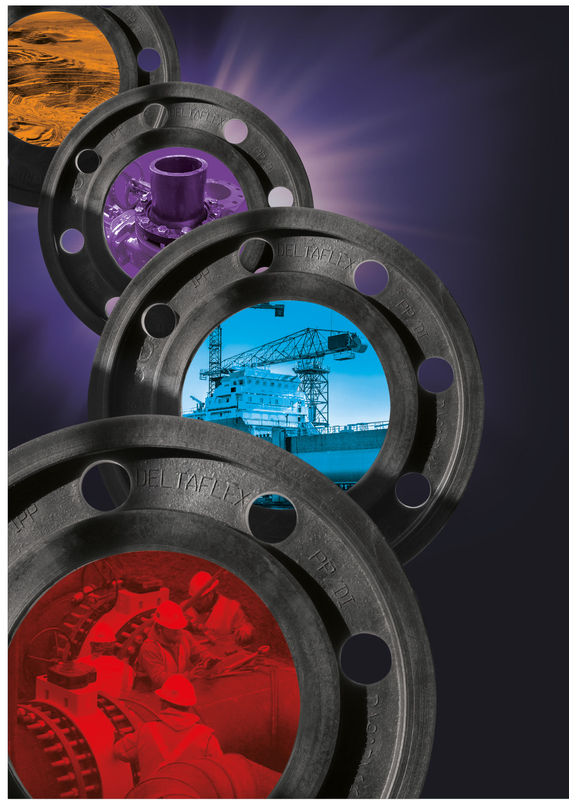 We have specialized in flange design since 1979 and furnish IPP Deltaflex ® backup rings to a broad cross section of industrial and municipal users worldwide. IPP backup rings are made to exacting specifications and conform to the highest standards of quality assurance. 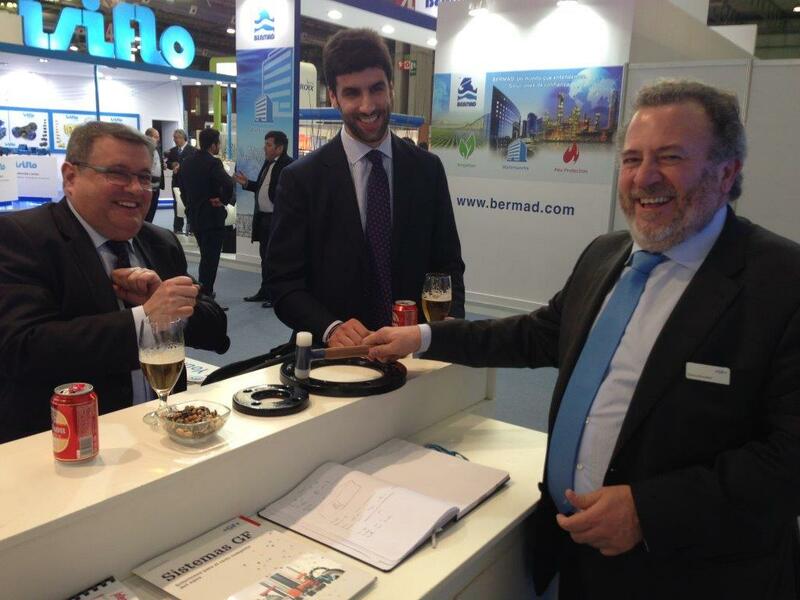 Margit with Carlos, GF Spain when he tested the quality of the new thermoplastic coating Aqua on IPP Deltaflex flanges. It passed the hammer test. Leading manufacturer for your HDPE connection needs, with a full line of straight-line HDPE pipe fittings and the IPP Deltaflex® backup ring from 1/2" to 63"